up to 90 chairs are available but not included in room hire. 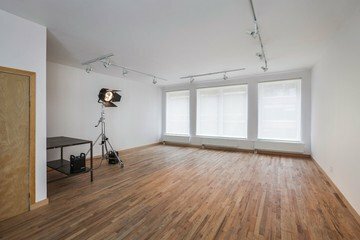 This open room in Midtown Manhattan is a perfectly suitable photo studio for any kind of business event. The room has 495 square feet, which is definitely the way to go for a group up to 90 persons, dependent on the setup. The big windows on one side of the room allow a large amount of sunlight in the room, resulting in a positive and creative atmosphere. Therefore, the photo studio in NYC is often used by corporations hosting a workshop, meeting or training which requires a creative atmosphere, but naturally it can also be used for photo shoots. 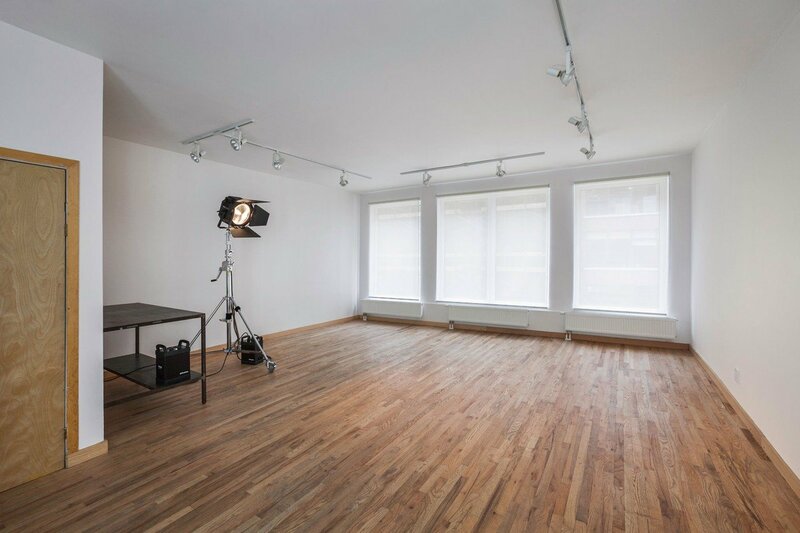 Besides having a wonderful venue at your disposal, you will have all necessities available in this Midtown photo studio. Easily book drinks and lunch to your reservation, at an additional charge. This is also possible for a flipchart, projector and screen, extra chairs and tables, microphone and a music system. Midtown Manhattan is a perfect location for your corporate meetings, as it is centrally located and also a really nice spot for people visiting from out of town. Those guests will absolutely be amazed by the vicinity of all NYC hotspots, such as the Empire State building which is only a 7 minutes walk from the venue. Besides, during the break of your corporate get together, all guests will certainly appreciate the walk, of only 5 minutes, to the Madison Square Park to get some fresh air. You will easily be able to reach the location by making use of subway lines 1, 2, 4, 5, 6, N, Q, R, W, after which you can walk to the NYC photo studio. Arriving at Pennsylvania Station is also an option, you would have to walk around 10 minutes to reach the location.